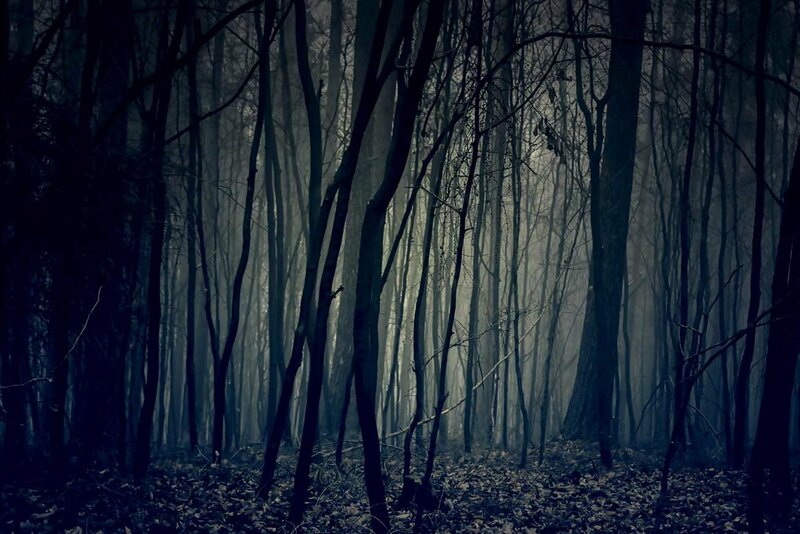 The forest was very dark. The kind of dark that made the day feel like an endless night. The trees were tall with thick branches that prevented any sunlight from shining through. For weeks, the boy walked on through the dark forest, bloody, hurting, and alone with his thoughts. No one came to save him, and he had no one to run to. Soon despair set in, and the small amount of energy he had left disappeared. Scared, lost, alone, and shivering from cold, he lay on the forest floor and begged for heaven to take him. He could not see, he could not run; he could only lay down and hope to die. “Please, just take me,” he whispered as a small tear fell from his eye. “I cannot carry these burdens any longer; I do not wish to fight them anymore.” Closing his eyes one last time, he took a deep breath and then exhaled slowly, hoping that death was near. As soon as he closed his eyes, it seemed, they reopened. Except for this time, he opened his eyes to the leaky ceiling of a small, warm room. In the corner a fire crackled, turning the atmosphere yellow in color. The room smelled of mildew and hot coffee. The boy, shocked to be in this new place, didn’t move a muscle as he waited to remember how he got there. Tracing his steps back in his head, he suddenly realized that the shackles were gone from his feet, his hands were now free, and the blindfold was no longer pushing his eyes shut. He began to feel the warmth of his body rising as he noticed he was resting in a large bed with warm blankets covering him. How long has it been since I’ve felt such warmth? he thought. “I’m in heaven,” he whispered unconsciously. “Far from it!” boomed a deep voice from the far corner of the room. The boy jumped in fear, unaware anyone had been in the room with him. “Who are you? !” he managed to raise his weak voice as he tried to free himself from the many blankets. “Calm down, son; I am he who saved you,” said the old man with a short white beard and graying hair. “Saved me from what?” questioned the boy as he realized he was not yet strong enough to move his legs out of the bed. “Don’t try to run, that would be the death of you at this point,” replied the mysterious man. Almost out of breath just from struggling to sit up, the boy perceived the old man to be right and gave up in his weakness. “Where am I?” asked the boy, slightly more at ease after seeing the old man’s kind eyes and sweet smile. “Well, this is my home, and that’s my bed that I haven’t slept on in a month while I’ve been nursing you back to health,” the man said, only slightly irritated. Confused, the boy mentally retraced his steps—the forest, the darkness, the cold, the shackles, and the blindfold. “What happened?” he meekly asked, remembering the moment he gave up and fell to the ground. “I don’t know—you tell me! When I saw you lying there on the ground, you had entirely given up—not to mention you had all those things around your arms and legs and that blindfold that made sure you didn’t see where you were going,” the man’s voice was now full of empathy. “Here, eat some soup; maybe it’ll all come back to you,” he said. “The broth will help you remember, and now that you’re finally strong enough to stay awake, the mystery should be over in no time. But son, let me tell you, that was a close one. You kept coming in and out of consciousness.” The old man’s response showed relief that the boy had finally awakened. The man handed the boy the bowl of soup, and slowly the boy took a few sips. He could hardly manage to eat, as he could barely hold the bowl. But the soup was warm, and his body deeply longed for the nutrition it held. It tasted gentle and kind—like the old man’s eyes. “Don’t drink it too fast now; your body will need to adjust,” reassured the old man. But the boy couldn’t help it, and with every sip, he only wanted more. Before he knew it, the soup was gone. The boy closed his eyes and felt his mind come to life as the nutrients from the soup broke into his body. He sat there for a long time, eyes closed, tears streaming down his cheeks, and began to remember every detail and choice that had led him to where he was at that moment. Hours passed before the boy finally opened his eyes. Shaking, he looked directly into the old man’s gentle face. The old man’s face turned very sad, and his eyes looked to the ground. “Why, my boy, did you do this to yourself?” he inquired with sorrow. “But why?” questioned the old man. The young boy looked into the old man’s eyes and started to weep. “I didn’t think I would end up like this.” The boy trembled as the old man moved over to embrace him. The old man held the boy for a long time before he fell back into slumber once again.